The Firstlight Alaska LED Exterior Wall Light is in a Graphite finish. The Firstlight Alaska LED Exterior Up & Down Wall Light is in a Graphite finish. The Oaks Lighting Burze 167 DG LED wall light is in dark grey. The Oaks Lighting Burze LED Wall Light is in a Silver Grey finish. The Firstlight Capital LED Single Outdoor Wall Light is a Graphite finish LED outdoor wall light. The Firstlight Capital Up & Down LED Wall Light is in a Graphite finish. The Firstlight 3418 CREE LED Driveover Walkover Light is in a Graphite finish with an IP67 rating. The Firstlight Elan LED Exterior Wall Light is in a Black finish and is IP44 rated. The Firstlight Elan LED Exterior Wall Light is in a Galvanised finish and is IP44 rated. The Elstead Jannik Double Wall Light is in a contemporary design and dark grey finish with very low energy usage. The Elstead Jannik LED Exterior Wall Light is in a contemporary design and Graphite finish with very low energy usage. The Firstlight Jenson LED Exterior Wall Lantern is in a Black finish with a frosted glass diffuser. 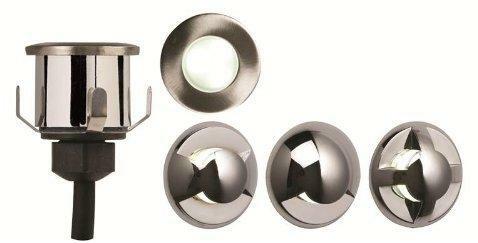 The Oaks Lighting Kelso LED Wall Light is in a Stainless Steel finish. The Oaks Lighting Koden LED Wall Light is in a Dark Grey finish. The Oaks Lighting Koden LED Wall Light is in a Silver Grey finish. The Oaks Lighting Kroz LED Post Light is in a dark grey finish. The Oaks Lighting Kroz LED Wall Light is in a dark grey finish. The Oaks Lighting Kroz LED Post Light is in a silver grey finish. The Oaks Lighting Kroz LED Wall Light is in a silver grey finish. The Oaks Lighting Lida LED Wall Light is in a Dark Grey finish. The Oaks Lighting Lida LED Wall Light is in a Silver Grey finish. The Oaks Lighting Lubon LED Wall Light is in a Dark Grey finish. The Oaks Lighting Lubon LED Wall Light is in a Silver Grey finish. 240 Volt Mini Blue LED Recessed IP65 Light. 240 Volt Mini White LED Recessed IP65 Light. The Oaks Lighting Mir LED Wall Light is in a Dark Grey finish. The Oaks Lighting Mir LED Wall Light is in a Silver Grey finish. The Pinto LED Bulkhead is in a Black finish with an opal diffuser. The Firstlight Pisa LED Exterior Wall Light is in a Stainless Steel finish. The Firstlight Rome Wall Light is a Stainless Steel LED exterior wall light. The Firstlight Shelby LED Exterior Wall Light is in a Graphite finish. The Firstlight Shelby LED Exterior Security Wall Light is in a Graphite finish with an inbuilt PIR sensor. The Firstlight Shelby LED Double Up And Down Exterior Wall Light is in a Graphite finish. The Firstlight Shelby LED Double Exterior Security Wall Light is in a Graphite finish with an inbuilt PIR sensor. The Firstlight Sofia Wall Light is a modern LED exterior wall light in a Graphite finish. The Firstlight Pond Light is an IP68 fully submersible LED spot in an Aluminium finish. The Firstlight Unite LED Pedestal Lantern is in a Black finish and is IP44 rated. The Firstlight Unite LED Downward Wall Lantern is in a Black finish and is IP44 rated. The Firstlight Unite LED Wall Lantern is in a Black finish and is IP44 rated. The Firstlight Unite Security LED Wall Lantern is in a Black finish and is IP44 rated. The Vegas Up & Down Exterior Wall Light is in a Black finish and is IP44 rated. The Vegas Exterior Wall Light is in a Black finish and is IP44 rated. Luxury Lighting offer a selection of outdoor LED lights in modern, contemporary and traditional designs. 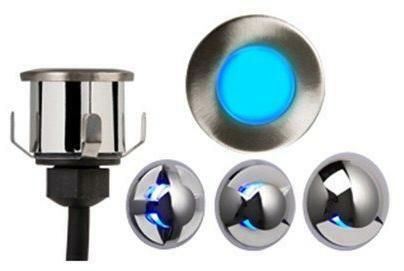 These LED exterior lights have a low running cost and will make a great lighting effect in your garden space.